title: Religija I Politika v Arabskija Svjat, Isljamǎt v Obshtestvoto. Iztok-Zapad, Sofija, 2012, 424 pp. Simeon Evstatiev’s monograph “Religion and Politics in the Arab World,” bearing the subtitle “Islam in Society,” treats the complex relationship between religion and politics in the historical development of the Muslim societies. In his study, Evstatiev faces several challenges stemming from areas of social, political and conceptual tension, such as the East-West relations, the role of tradition and modernization in the formation of social institutions, religion as a means of building personal and social identity, and, in more general terms, the feasibility of universal values in the globalizing world of today. To account for these areas in their complex interplay, one needs an intercultural, interdisciplinary and transhistorical approach. Not surprisingly, therefore, before embarking on his study, Evstatiev defines its thematic confines and methodological base. To these key issues he devotes the first chapter of the book (Challenges and approaches, p. 24-101). Globalization and the ensuing formation of massive immigrant communities in the western societies have encouraged, on the one hand, attempts to approach the attendant challenges by sound analytical methodologies. On the other hand, however, there emerged ideological schemata and rigid models, which seek to impose a predefined attitude towards Muslims. Such schemata and models inhere in the works of Oriana Fallaci, Daniel Pipes, but also in Huntington’s famous “clash of civilizations.” These writers often combine an ostensibly objective discourse with a predefined ideological stance (Fallaci, Pipes) or derive from an old-fashioned understanding of civilizations as an embodiment of unique historical archetypes (Huntington). Ideologically, such approaches may have been inspired—perhaps unintentionally—by the negative stance towards Muslims promulgated in the European Middle Ages, but also in more recent times; methodologically, they derive from the historical essentialism of scholars like Spengler and Toynbee. At the same time, since the epoch of Enlightenment the West has tried to depart from the ideologically biased discourse on Islam. A tendency towards academic objectivity shaped the works of the major Western students of Islam during the 19th and the 20th centuries. Western academic criteria have not always met a positive response from the Arab and Islamic intellectuals. Evstatiev gives a balanced account on Edward Said’s criticism of the western approach to studying Islam. Said’s hyper-critical attitude has had the major advantage of making the western Islamicists aware of the perils stemming from two equally futile approaches to Islam, to wit, idealization of the East, and its opposite, the ideologically motivated derision of Islam and the Muslims. Said’s criticism has also encouraged Muslim intellectuals to take a more profound interest in the academic study of the West. Evstatiev’s study follows a balanced approach to the issue of religion and politics in Islam. The author seeks the roots of Islamic political concepts in the pre-Islamic epoch (the Jāhiliyya). I appreciate especially Evstatiev’s semantic analysis of several Jāhilī and early Islamic key terms and concepts, including shi‘r (and inspired knowledge, but also poetry), ‘ilm (knowledge) and dahr (fate and time). While this is a promising approach, one must keep an open eye to its methodological limitations. Insofar as the texts from which Evstatiev derives his evidence were registered two or three centuries after the events they purport to describe, the issue of their authenticity is a major challenge to semantic analysis. One cannot be sure to what extent these texts reflect the genuine Jāhilī worldview instead of drawing on the later Islamic portrayal of the Jāhiliyya. In any event, no serious historian of Islam has resisted the appeal of understanding history through language, however doubtful the authenticity of the textual sources might be. The benefits of semantic analysis are clear in Evstatiev’s study of the Qur’ānic political terminology (p. 148-53). This study is of especial importance for understanding the development of the Islamic political concepts, which continuously re-interpret the Qur’ānic discourse on God’s rule and the human government. Apart from the Qur’ānic verses, the Islamic political concepts rest on the traditions about the formative period of the Prophet (570-632), the “rightly-guided caliphs” (632-61), and, to some extent, on the events that took place during the Umayyad caliphate (661-750). 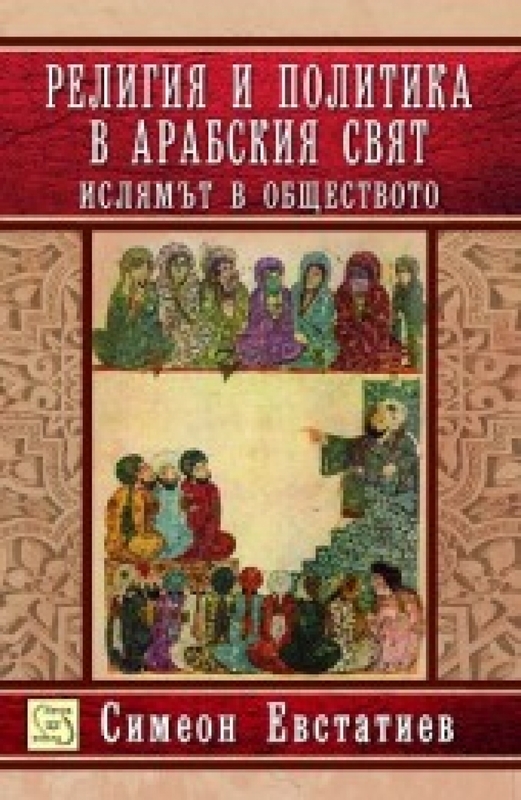 Evstatiev has been successful in presenting both the traditional account on the early Islamic history and its modern “revisionist” reinterpretation. It is worth noting that, as he discusses the theory of Crone and Hinds about the sacred character of government in early Islam (p. 170-1), Evstatiev could have taken advantage of the numismatic evidence, which shows that the title God’s Vicar (khalīfatu ’l-lāh) was used already by the Umayyad caliph ‘Abd al-Malik b. Marwān (r. 685-705). In his analysis of the Islamic political concepts, Evstatiev relies on the evidence of ḥadīth, that is, traditions about the normative actions and pronouncements of the Arabian prophet (p. 192-99). This approach has its benefits, mainly in defining the discursive outlines of the Islamic legal norms. At the same time, the study of ḥadīth faces a formidable chronological challenge: it is difficult to date any traditions into the first or even the beginning of the second century AH. Ibn Shihāb al-Zuhrī (d. ca. 741) may well have put into circulation early traditions dealing with government in Islam (p. 196), but to authenticate the early provenance of these traditions one has to address methodological issues, which, admittedly, would have led Evstatiev beyond the scope of his study. Evstatiev’s review of the Islamic political concepts from early Islam to the day of Ibn Khaldūn is of equal interest to the general reader and the specialist in Islamic history. Evstatiev’s discussion benefits from numerous references to the works of medieval historians and modern researchers. Quite often, Evstatiev canvasses the political concepts of the East by way of contrastive comparison with the corresponding concepts of the West. Thus, Evstatiev is able to draw a comprehensive picture of the historical background that fostered the modern Islamic political concepts. Evstatiev’s analysis of the Kadizadeli movement (p. 250-2) is of especial value, as it sheds light on a relatively uninvestigated field, which may prove important for the understanding of the modern calls for a return to Islam’s fundamental principles. Evstatiev admits that the relations between the Imperial center and the Ottoman provinces “remain unclear and not fully studied” (p. 252). He nevertheless draws a careful comparison between the Kadizadeli call for a strict application of the principle of “commanding the right and forbidding the wrong,” and Muḥammad b. ‘Abd al-Wahhāb’s reproach of his contemporary Muslims for having slid to an ‘associationism’ (shirk) that is worse than the Jāhilī polytheism. In the final part of his book, Evstatiev takes the issue of the fragmentation of the religious authority is modern Islam. In the course of his study, he refers to several important Shī‘ī and Sunnī movements that advocate a return to the Islam’s pristine principles. In a valuable supplement, Evstatiev offers for the first time Bulgarian translations of important Islamic political texts ranging from the so called Constitution of Medina (ca. 622) to Shaykh Fayṣal Mawlawī’s opinion on the 9/11 events in New York and Washington. Evstatiev’s books is a comprehensive, one might say ‘encyclopedic’, work, although, at times, it gives the impression of a collection of essays published by the author at various times. The book will be useful for specialists and students in the fields of Arabic studies, history, political sciences, philosophy and law. Evstatiev’s coherent style, and his ability to tackle complex issues with clarity and depth, allows me to recommend the book to any general reader who takes interest in the history of Islam and the Middle East. Being the first of its kind in Bulgaria, Evstatiev’s book will be a valuable asset for public and private libraries alike. On which see Stefan Heidemann, “The Evolving Representation of the Early Islamic Empire and its Religion on Coin Imagery,” in The Qur’ān in Context, eds. Angelika Neuwirth, Nicolai Sinai and Michael Marx (Leiden and Boston: Brill, 2010), 175. Simeon Evstatiev, Religija I Politika v Arabskija Svjat, Isljamǎt v Obshtestvoto.